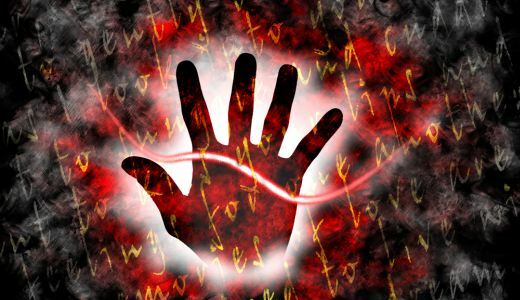 Your palm and the shape of your hand are the key to the secrets of your personality. When it comes to analysing this, your thumb is as important as your nose is to your face. Basically, your thumb is your will power. The fact that we humans have thumbs sets us apart from other animals because it enables us to complete complex tasks with our hands. In other words, the fact that you have a thumb enables you to exert your ‘will’ on material things. Thumbs are easy to spot and you can quickly make assessments. The larger or longer your thumb is the greater your will-power and self-control. You weigh matters up and decide what to do on the basis of logic – you aren’t easily swayed by emotions. This does not mean you are cold – just very civilised and aware of your mental power. If your thumb is short, you may be passionate and spontaneous, but lack determination and consistency. You probably act from intuition and your swift responses mean you land on your feet. Compare the phalanges of your thumb. The top, or nail phalange is pure Will, while the lower phalange is Logic. Together they determine strength of character. Does your thumb bend outwards, so the upper phalange curves away from the side of your palm? Then your thumb is supple-jointed. You are adaptable and pliable, liking to please others and go with the flow. However, you are also unconventional and independent. Generous in spirit as well as with your cash, you are broad-minded and rarely stubborn. You can be extravagant and impulsive, and although you love to say ‘yes’ to requests, you can sometimes change your mind. By contrast, if your thumb is straight and stiff-jointed, you are likely to be more rigid in your views. You don’t readily give in or give way, and when you make decisions you think them through and stick to them. In fact you can be quite obstinate. However, although you may say ‘no’ if pressed, after you’ve had time to think you may decide to go along with what’s been suggested. Chatting to strangers doesn’t appeal to you like it may to the supple-jointed, but you are loyal and trustworthy in your dealings. Do you hold your thumb close to the side of your palm, or is it at a wide angle? A close thumb shows a certain amount of fear. You like to hold on to what you have and are scared that if you open out you’ll lose something. This can mean you are a little ‘tight’ with money, but you’re a good manager. The more your thumb stands away from your hand the more relaxed you are. Confident and expansive, you are open with your feelings and your possessions. Occasionally this means you lose out or get hurt, but you can be philosophical about this. Although your thumb will naturally be more comfortable either close or separate, this isn’t necessarily going to remain the same though life. Your thumb position is one of the palmistry characteristics that can most easily change. If life is kind to you, your open thumb may show this. Hold your thumb out with the nail uppermost and look at the lower phalange. Is it more or less straight, or do both edges curve inwards so it looks as if it has a waist? If your thumb is ‘waisted’ then you prefer to get your way through tact and diplomacy. The facts are secondary and logic isn’t very important. If your thumb is straight, however, you like to get things ‘straight’ too. You rely on your powers of reason and are prepared to argue calmly and persistently for what you think is right, letting the chips fall where they may. Although you don’t rely on charm, you are honest and direct. Of course there are times when you need some knowledge and positive input that you can’t get from analysing your hand. You may also want someone wise to talk to about your interpretation. Don’t worry – at The Circle we have all that you could wish for in psychic readings and clairvoyant readings. Why not call us today, to be connected to a medium, or psychic and to feel supported and guided.